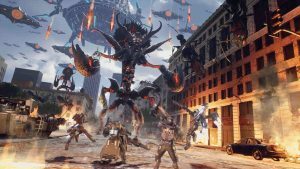 Earth Defense Force Iron Rain brings back familiarly satisfying bug blasting gameplay with brand new visuals and presentation. Our review. WWE 2K19 patch 1.02 is out now on PS4, Xbox One, and PC. You’ll find the full patch notes inside but be warned; they’re a little vague.